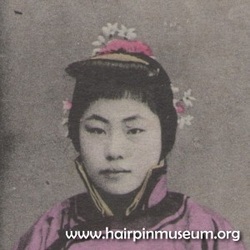 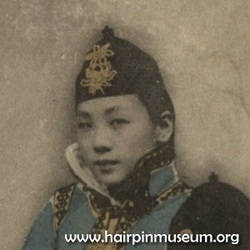 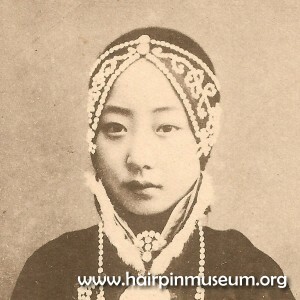 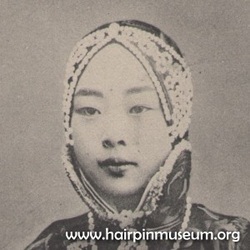 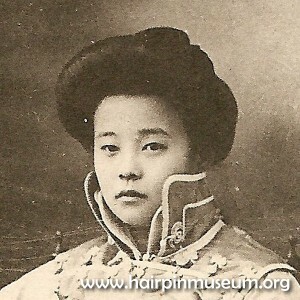 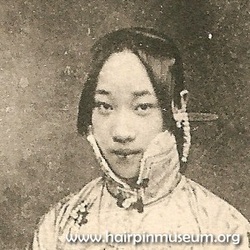 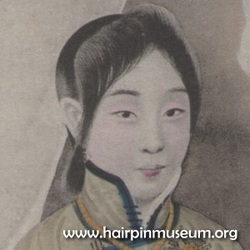 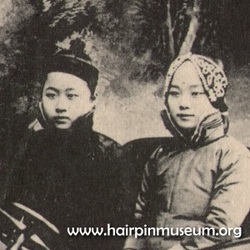 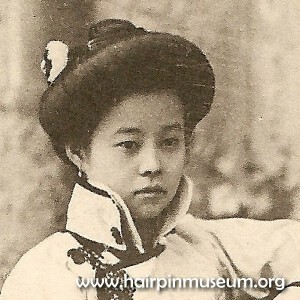 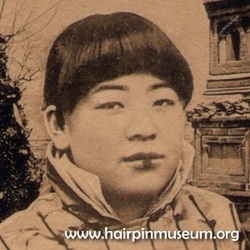 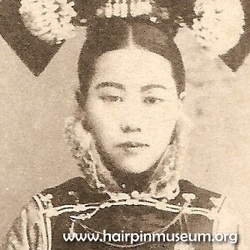 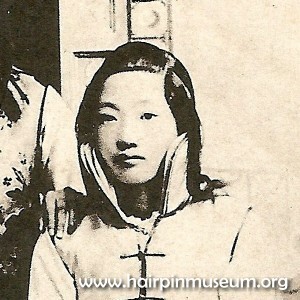 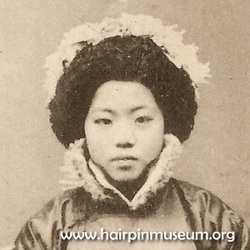 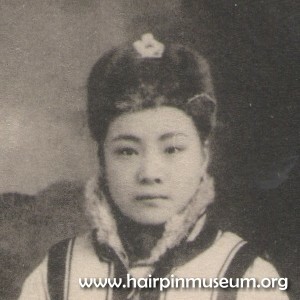 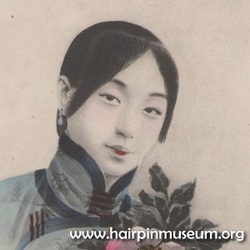 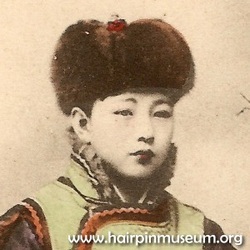 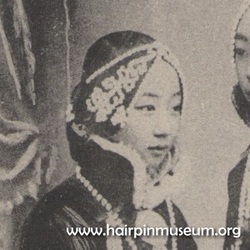 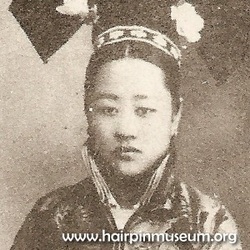 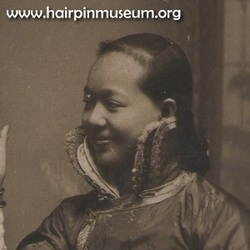 The distinctive high collar was fashionable in China around the early 20th Century. 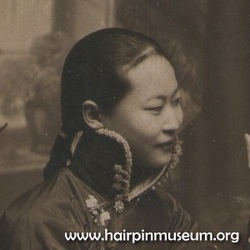 The collar was very high - up to the ears and framing the cheeks. 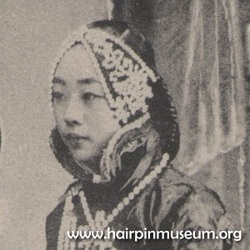 One of the practical functions was to protect the neck in cold weather, but it also served to frame the face and enhance the beauty of the wearer. In Chinese, this kind of collar is called an "ingot collar" (元寶領) because it is similar to a type of Chinese silver ingot. These were nor simple bricks like gold bars in the west but were shaped like an old-fashioned bath tub.